Good Tripping Branson for Wildlife! Richard Branson helps hundreds of thousands of travelers reach their destinations every year, through his airline Virgin. But he’s also a businessman who is visibly, audibly, and persistently trying to make a difference, whether it is through Virgin Unite – an organization that connects people to make a positive change in the world and has programs like Business as a Force for Good – or through his holiday properties such as Kasbah Tamadot in Morocco. Branson has thrown his weight behind Wildaid and its efforts to bring the trade in wild animals, from sharks to tigers to rhinos, to the world’s attention. Recently his video using nail-biting to deter the consumption of rhino horn got a lot of publicity. It might just be one businessman doing his thing, but just watch the videos (with celebrities such as Ralph Fiennes, Harrison Ford, and Jackie Chan) to see the impact one man can make. 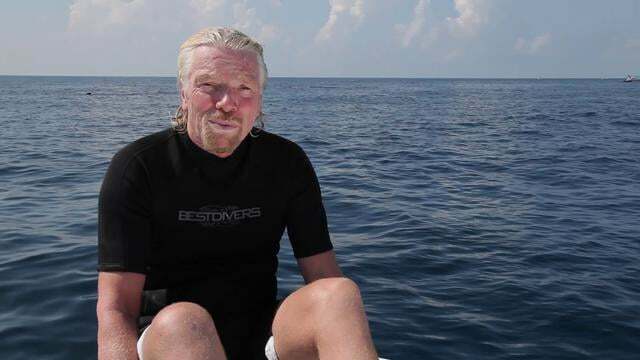 Some of its achievements include: supported Wildaid to deliver a 70 per cent reduction in Chinese shark fin imports; helped to secure the conservation of marine areas in Saba, St Maarten, Samoa and the Pitcairn Islands; gave 4,000 entrepreneurs access to the skills & support they needed to launch their businesses, via Branson Centres; reached over one million people with life-saving healthcare in Kenya, South Africa and Nigeria; fought for the rights of people in Uganda and all over the world to love who they want.